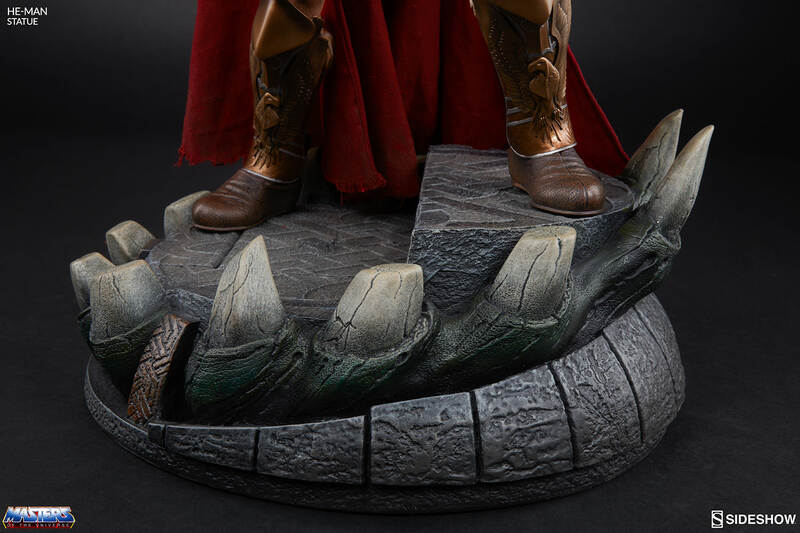 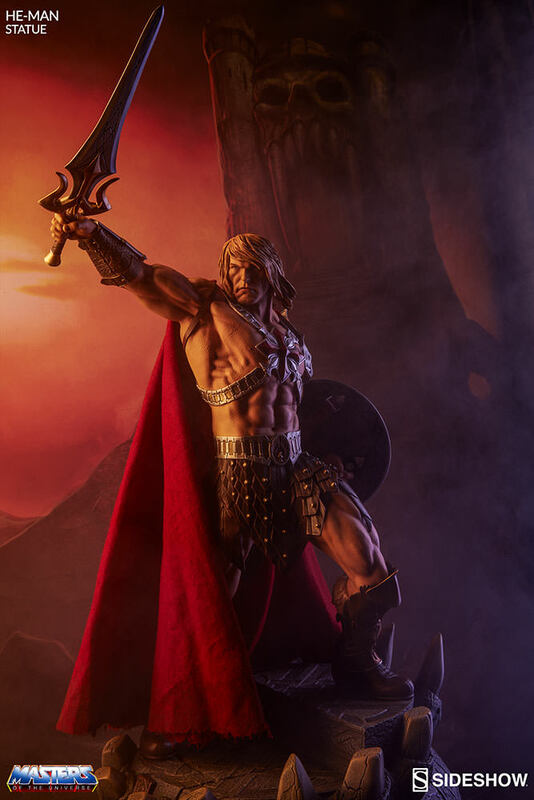 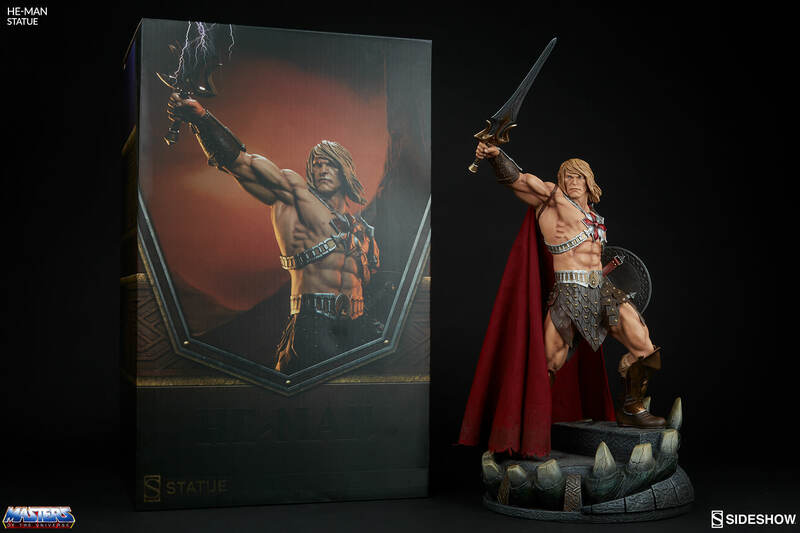 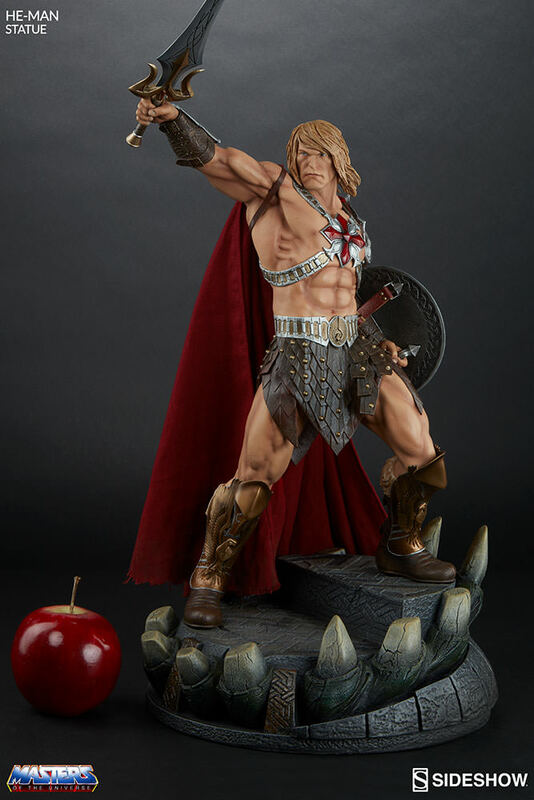 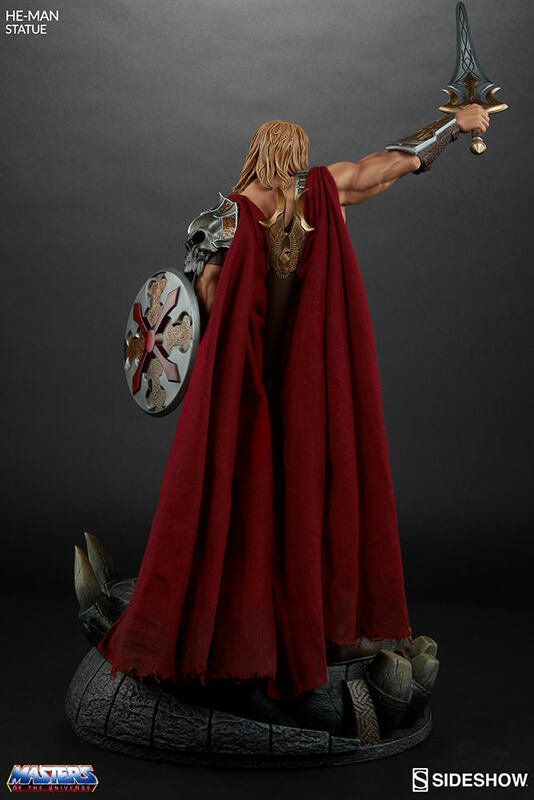 As our debut release from a new statue collection inspired by the popular 80’s cartoon series Masters of the Universe, Sideshow Collectibles is proud to present He-Man! 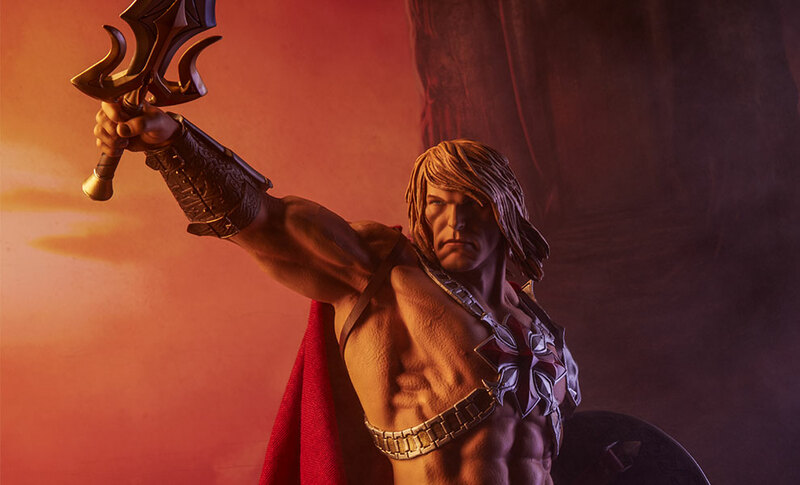 MASTERS OF THE UNIVERSE and associated trademarks are owned by and used under license from Mattel, Inc. (c) 2015 Mattel, Inc. All Rights Reserved. Under license to Classic Media. 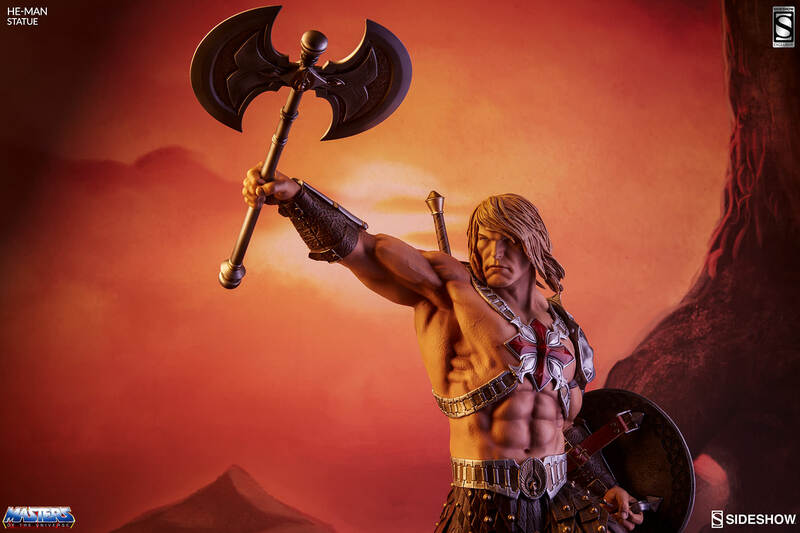 Standing an impressive 23" tall, Prince Adam of Eternia holds aloft his indestructible magic Power Sword as he transforms into He-Man, the mighty champion of Castle Grayskull! 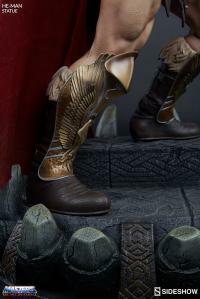 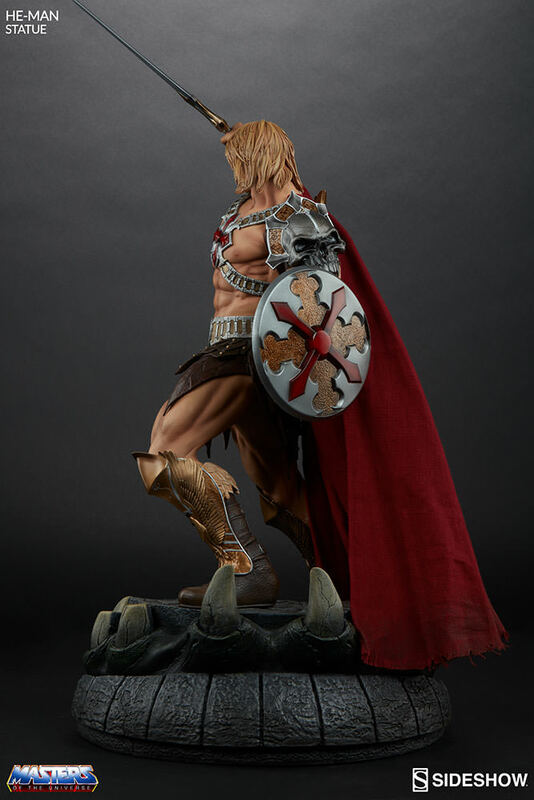 Sideshow’s artists have re-imagined the muscular hero with his trusty shield, intricately detailed armored pteruges, boots and gauntlets, his strength-magnifying breastplate and power harness, and a magnificent removable cape. 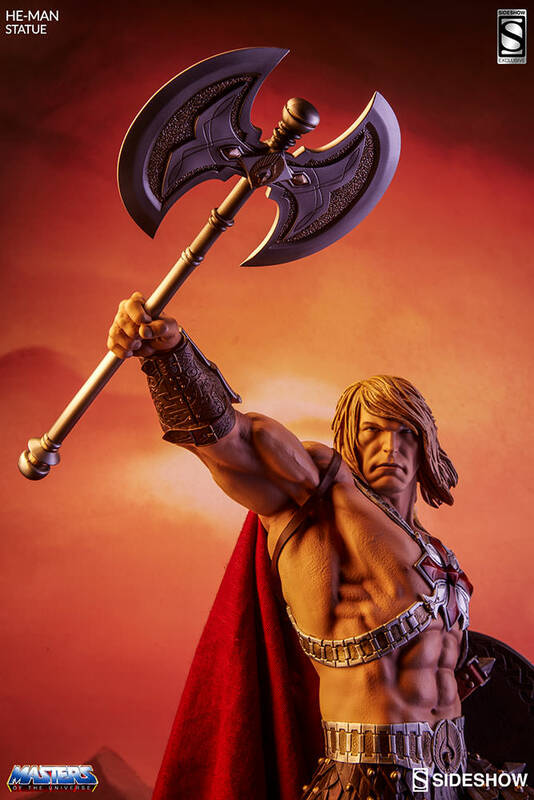 As a special nod to the earliest versions of the story, we have also included an exclusive swap-out axe, He-Man's primary weapon before he joined the two halves of the Power Sword that would gain him entry to Castle Grayskull. Charged with defending his kingdom from the evil forces of Skeletor, He-Man is the most powerful man in the universe! 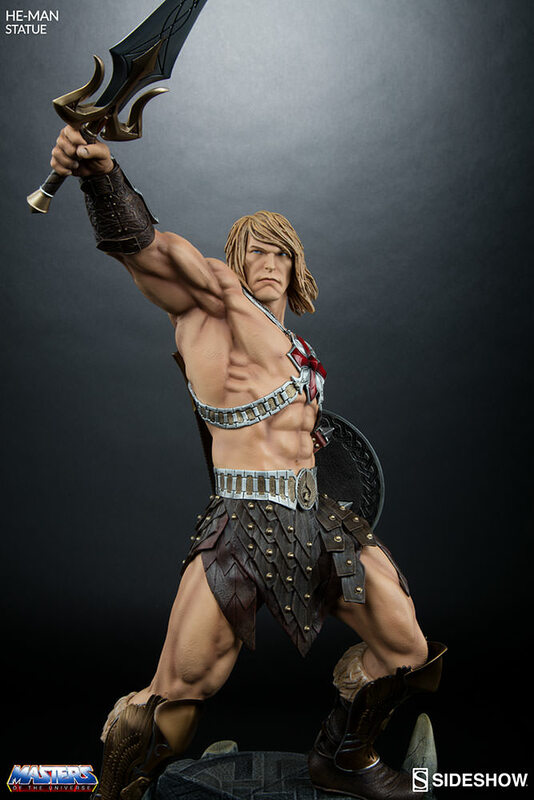 Great rendition of the classic. Fantastic detail, everything is perfect. 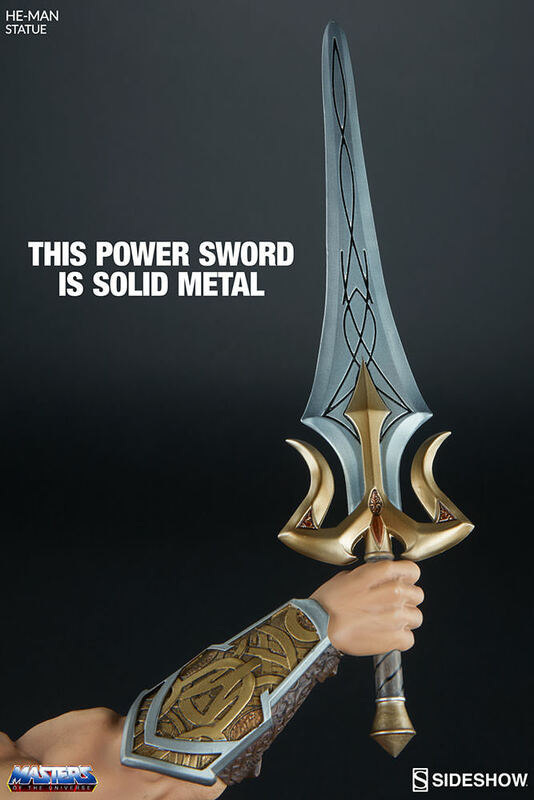 Looking forward to having this on display with Skeletor and Evil-Lyn. 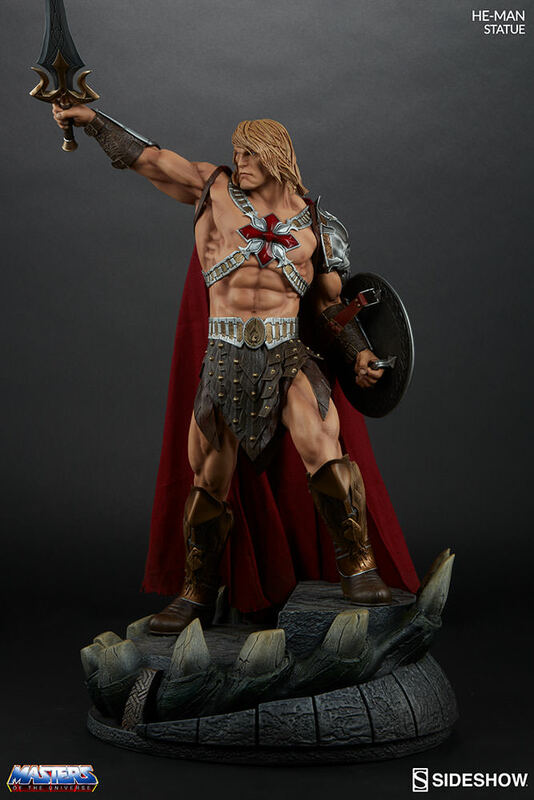 Received my He-Man and he's EXTRAORDINARY. 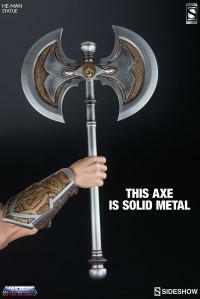 The weapons are REAL METAL. 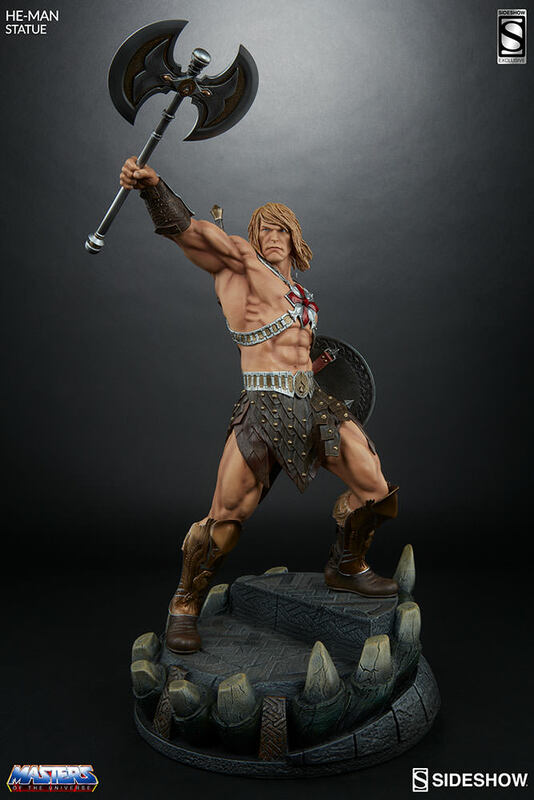 Sideshow came through like CHAMPS with this piece of ART. Gonna pair it with Red Sonja and have the makings of a 2nd to none display. 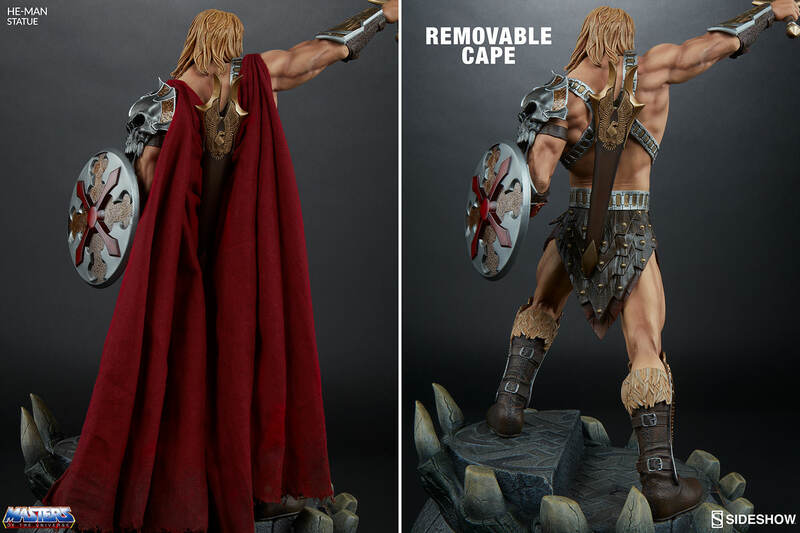 Can't wait to get the other 2 pieces to this collection. 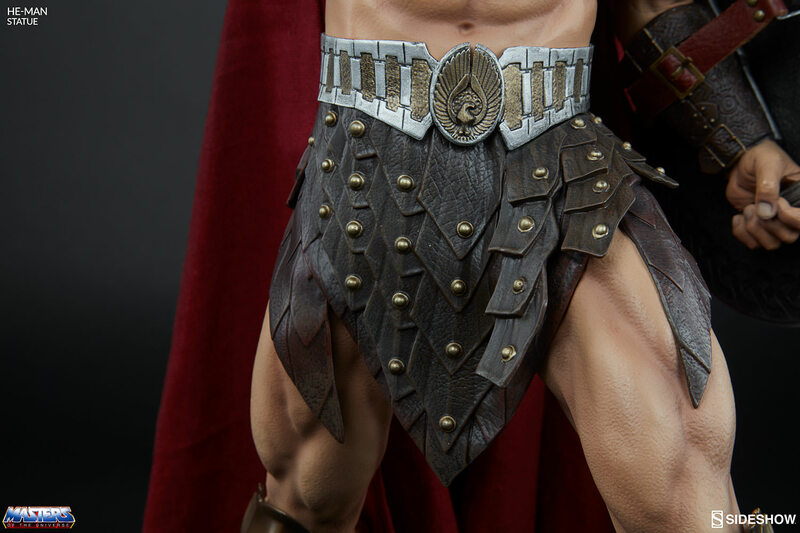 Sideshow's bringing the FIRE!!! 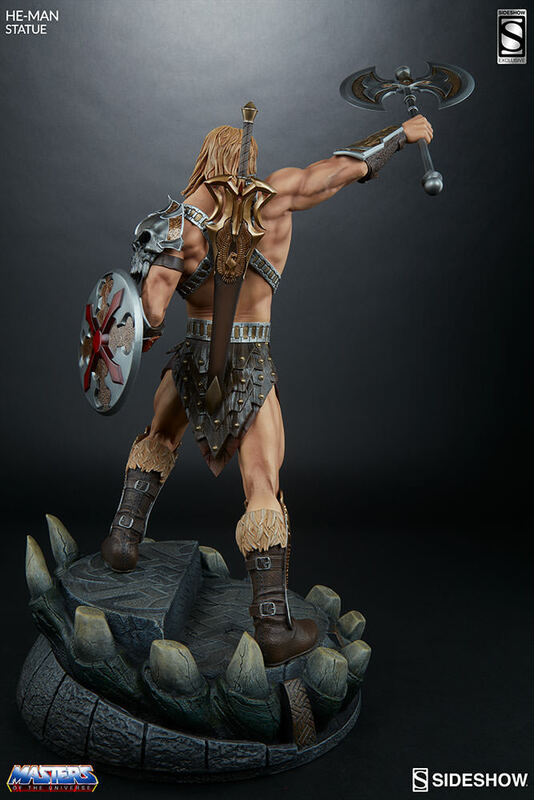 Got it a few weeks ago and this statue is an amazing work of art. 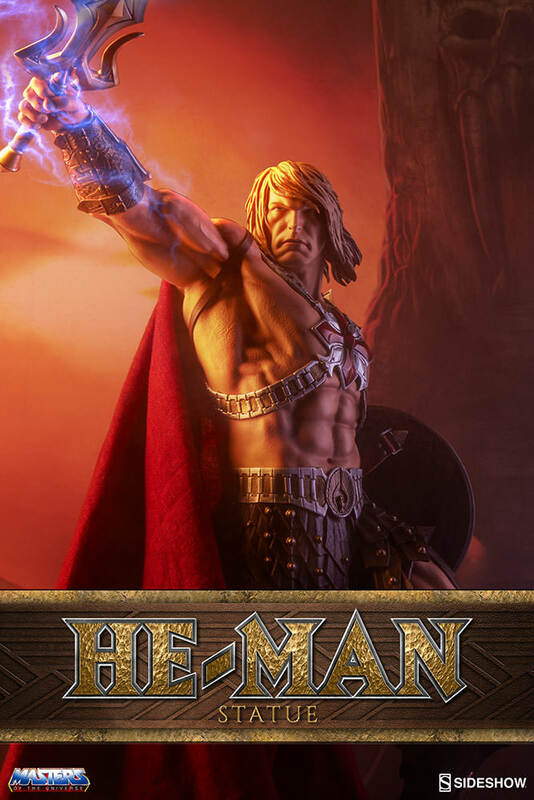 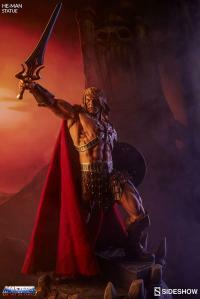 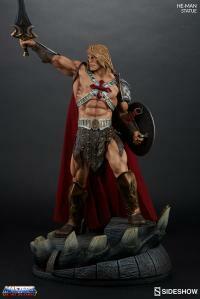 He-Man is depicted in all his glory. 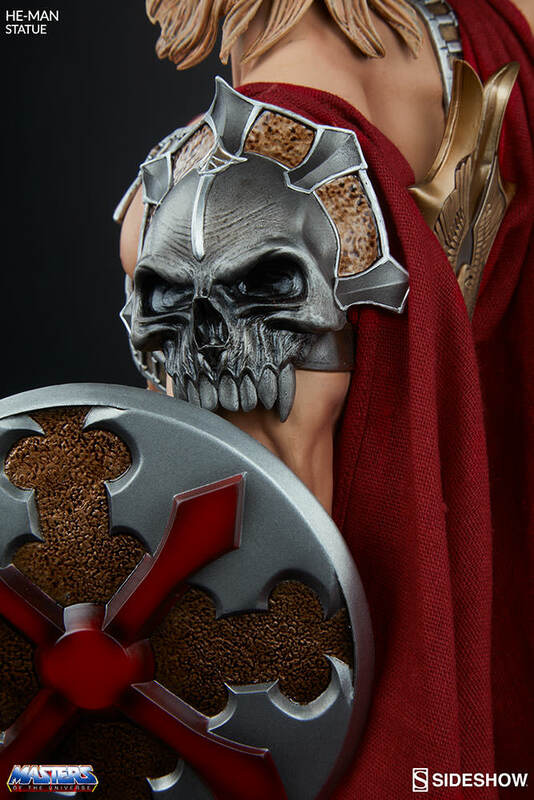 The work on his armor, shield and cape are second to none. 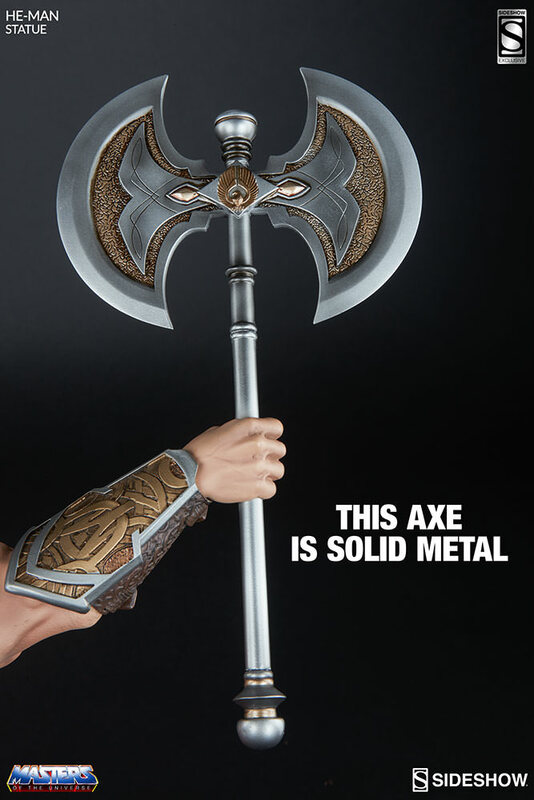 The real metal sword and axe really add to how awesome this piece is. 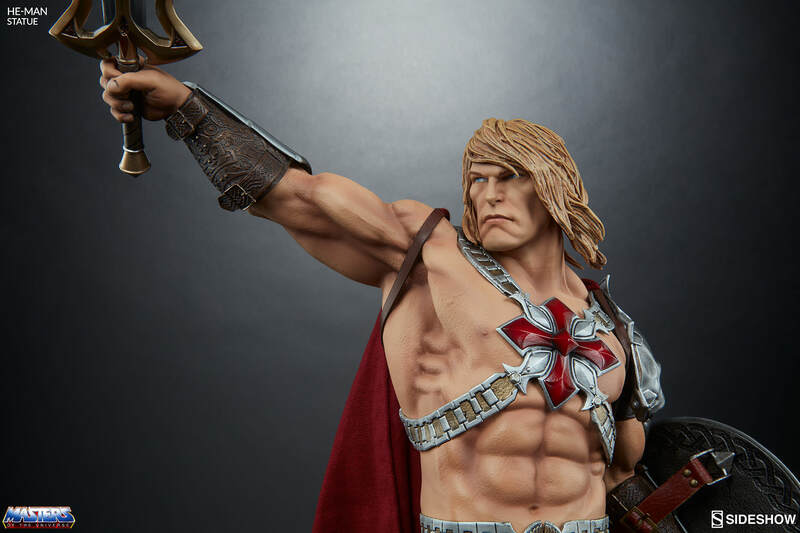 Fans of the 80's cartoon and new fans should pick this up asap!